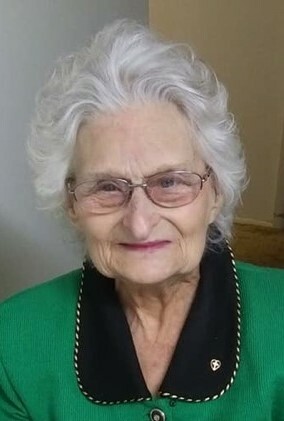 Mrs. Lillian "Lynette" Shelby died on Monday, January 21, 2019 at Merit Health River Region Medical Center. She was 87. She was born in Meridian, MS on March 14, 1931 to her parents Milo Redus French and Irma Lois Whaley French. She moved to Vicksburg in 1953. She was employed at Mercy Hospital for twelve years; was charge nurse at Vicksburg Convalescent Home for 1 1/2 years and was a home health nurse for Private Home Care for five years. She was a Pink Lady at Parkview Hospital up until 2011. She grew violets for a local eye doctor for his patients. She was a member of Highland Baptist Church. She was predeceased by her parents; her husband Leonard Earl Shelby; her son David Earl Shelby; a grandson Patrick Kennedy and her brother Charles Archie French. She is survived by her daughters Carol Pownall (Ron) and Kitty Kennedy Nelson (Joe); granchildren, Caroline Nixon, Patricia Kennedy, David Lee and Dawn Irons; great-grandchildren Brittany Nash, Shelby Irons, Christopher Lee, Jordan Lee, Olivia Santos, Caleb Nixon, Annabelle Nixon, Joshua Nixon, Scarlett Nixon and Lillie Nixon; great-great grandchildren Bexlee-Kaye French, Cailem Irons, Adela Lee, Paxton Lee, Laura Grace Lee and Laikin Lee. Funeral services will be held at 12:00 p.m. Thursday, January 24, 2019 at Glenwood Funeral Home with Rev. Brian Ivey officiating. Visitation will be fro 10:00 a.m. Thursday until the hour of the service. Burial will follow in Cedar Hill Cemetery. Pallbearers will be Jordan Lee, Shelby Irons, Christopher Lee, David Lee, Joey Nash, Jimmy Vinson. Memorials may be made to Highland Baptist Church in memory of Lillian Shelby.